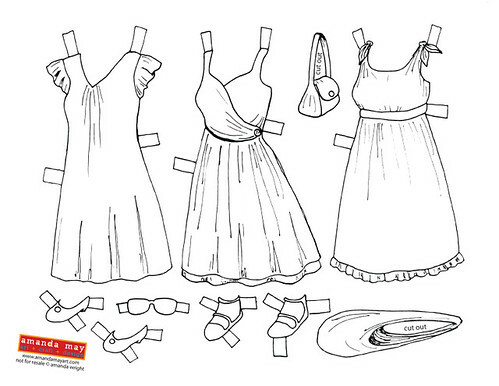 Artistically Speaking: Two New Paper Dolls - Freebies! Two New Paper Dolls - Freebies! 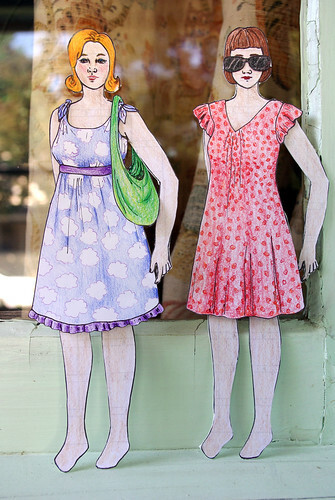 I have been enjoying looking at Liana's Paper Doll Blog lately. She is a wizard with those prismacolors, and really creative at coming up with lovely dresses and outfits. So I was inspired in two ways - one, to put up some dolls here for whom I can continue to add clothing (fun! ); and two, to do some colored pencil coloring. Colored pencils really are wonderful, with the shading and the different effects depending on how the point is turned. I haven't used any really since high school when we made a lot of maps and illustrated pages. I think I had forgotten how much patience it takes to color properly with pencils - it is time consuming! But so satisfying in a way I don't think digital can ever really match. So, add a few more levels to my admiration of Liana's drawing skills! Here are the dolls (or click on the photo for JPG version, lower res, same goes for the clothes below). They have the same bodies so they can share clothes, but two different face and hair options so they can be friends! Their first clothing options are a few little summer dresses, with accessories because purses are fun. You get them in black and white so you can spend some quality time with the colored pencils yourself (or paints, crayons, markers...). I will keep the dolls and their clothing collections over on the right hand side in a new section. They're so cute, and the dresses look so light and summery! I'm delighted to have been an inspiration. :) Coloring with colored pencils really is satisfying, isn't it? I hope you enjoy making clothes for them! Stylish looking cocktail dresses are popular in young ladies and girls which having smart bodies. April Blizzards Bring May Blossoms!